Wie Seagate Technology heute bekannt gab, hat der US-Festplattenhersteller die geplante Übernahme des Festplattengeschäfts von Samsung Electronics erfolgreich abgeschlossen. Seagate hat die bereits im April diesen Jahres angekündigte Übernahme der Festplattensparte von Samsung erfolgreich abgeschlossen. Samsung hatte Anfang des Jahres signalisiert, seinen Unternehmensbereich der Festplatten wegen der schlechten Gewinnsituation verkaufen zu wollen. Damit kann Seagate als einer der weltweit größten Hersteller von Festplatten und Speicherlösungen seine Marktposition gegenüber dem Konkurrenten Western Digital deutlich stärken und weiter ausbauen. Mit der Übernahme von Samsung will Seagate zukünftig noch besser auf die wachsende Nachfrage nach leistungsfähigen und hochkapazitiven Festplatten reagieren können. Seagate erhält im Zuge der Übernahme auch Zugriff auf Samsungs HDD-Infrastruktur wie die M8-Produktlinie an 2,5-Zoll-Laufwerken. Zudem will Seagate zahlreiche Mitarbeiter im Werk in Korea übernehmen, die zu Seagate wechseln und sich künftig um die Entwicklung von Festplatten für Mobile-Geräte kümmern werden. 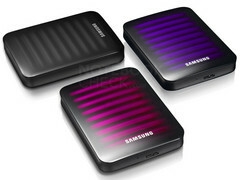 Seagate and Samsung werden weiterhin als Partner eng zusammenarbeiten. So soll Seagate künftig die HDDs für Samsungs Computer, Notebooks und Consumer-Elektronik liefern. Samsung wird im Gegenzug seine Halbleiter- und Speicherprodukte für Seagates SSDs, SSD-Hybrid-Drives und andere Produkte zur Verfügung stellen. Die Übernahme kostet Seagate rund 1,4 Milliarden US-Dollar, die Seagate je zur Hälfte mit Barmitteln und in Aktien aufbringt. Mit der Übernahme von Samsungs Festplattensparte verleibt sich Seagate einen großen Konkurrenten ein und erreicht damit, zusammen mit Western Digital, quasi eine Monopolstellung auf dem Festplattenmarkt. Erste Auswirkungen der Marktbereinigung bekommen die Kunden bereits zu spüren. Um künftig Kosten für teure Rückstellungen bei Garantiefällen zu sparen, verkürzen beide Festplattenriesen spätestens mit Beginn des neuen Jahres die Garantiezeiten für einige ihrer HDD-Modelle drastisch. Seagate is a world leader in hard disk drives and storage solutions. Learn more at www.seagate.com. This press release contains forward-looking statements within the meaning of Section 27A of the Securities Act of 1933, as amended, and Section 21E of the Securities Exchange Act of 1934, as amended. When used, the words “anticipates”, “believes”, “expects”, “may”, “should” and similar expressions are intended to identify such forward-looking statements. Forward-looking statements included in this press release include, but are not limited to, Seagate’s expectation regarding restructuring costs, operating expenses and integration costs, Seagate’s expectation that the transactions and agreements will be meaningfully accretive to non-GAAP diluted earnings per share and cash flow in the first full year following the closing, and statements relating to the anticipated benefits of the transaction and the opportunities in the mobile computing market, cloud computing market and solid state storage. Such forward-looking statements are based on expectations, estimates and projections about the markets in which Seagate operates, management’s beliefs, and certain assumptions made by management and involve known and unknown risks, uncertainties and other unknown factors that could cause actual results to be materially different from the historical results or from any future results expressed or implied by such forward-looking statements, including but not limited to (i) our ability to realize the expected benefits of the acquisition, (ii) the integration may result in revenue attrition, significant accounting charges and increased capital expenditures (iii) the potential that we do not successfully integrate the employees (iv) risks related to the diversion of senior management’s attention, (v) the potential loss of key customers or suppliers of Samsung, (vi) the possibility that the transaction may not further our business strategy as we expected and (vii) the possibility that our markets will not develop as we presently anticipate. Many of such risks, uncertainties, and other factors may be beyond the company’s control. Information concerning risks, uncertainties and other factors that could cause results to differ materially from those projected in the forward-looking statements is contained in the company’s Annual Report on Form 10-K, Form 10-K/A and Quarterly Reports on Form 10-Q as filed with the U.S. Securities and Exchange Commission on August 17, 2011, August 24, 2011 and October 27, 2011, respectively, which statements are incorporated into this press release by reference. These forward-looking statements should not be relied upon as representing the company’s views as of any subsequent date and Seagate undertakes no obligation to update forward-looking statements to reflect events or circumstances after the date they were made.